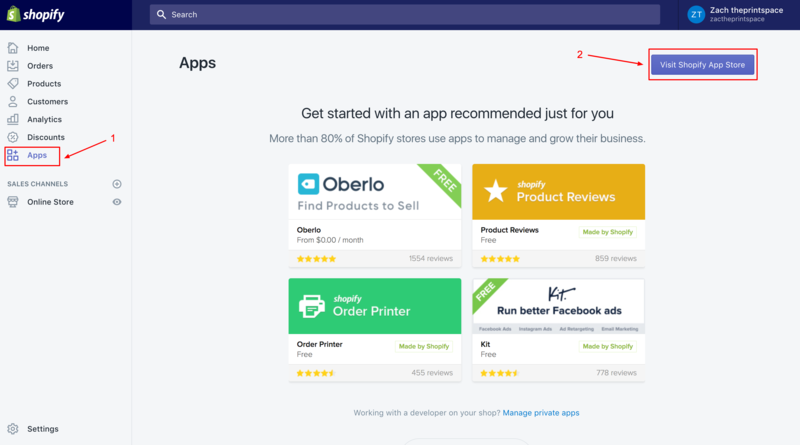 How do I install the creativehub Shopify app? 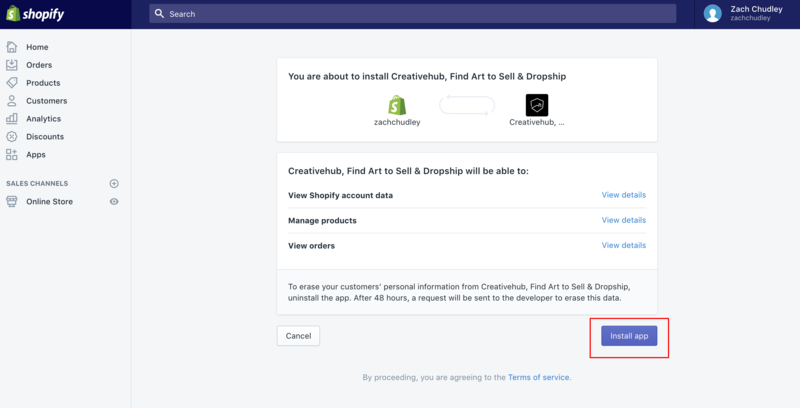 To download and install the creativehub app you will first need to login to your Shopify account. Once in the app store, enter ‘creativehub’ in the search field and click search. You will then be asked to install the app. Click 'Install'. 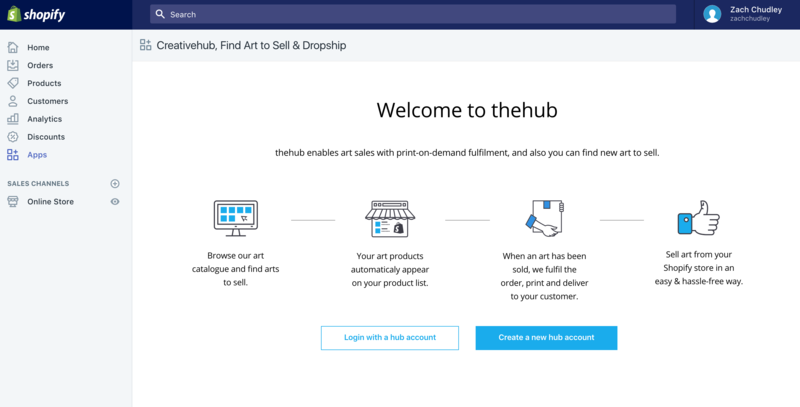 To complete installation, either sign in with your creativehub account details or set up a new account. Once logged in, the two accounts are connected - simple!